Why Get Critical About Literacy? | Be Strong. Be Courageous. Be You. Critical literacy is the ability to read text actively in a reflective way to develop a deeper understanding of socially constructed concepts; such as power, inequality and injustice in human relationships. We serve our students well when we teach them to be critical consumers of the world around them. In order to do this, our classroom culture must support the acceptance of all ideas. Students must know they are safe to share their ideas. Our instruction needs to be neutral, presenting information and various viewpoints, not our opinions if we want to build true critical thinkers. One way we can do this is by giving students access to text that presents more than one version of an event or story and then letting them talk about their thinking. We also need to make sure to give them plenty of time and opportunity to question. From the discipline of History, we learn to ask questions of a text that examine both the times and societal influences around the time a document was created. Often we worry over a lack of background knowledge and hurry to try to fill in missing parts for our students. Background knowledge is important. (And, it turns out, not so hard to come by today. More on this in another post.) Still, background knowledge, and context knowledge are not synonymous. Contextualization is understanding how the context or background information influences the content of what is written. It is more about the deeper reasons something was written, or filmed, or painted. Context points to WHY the document was written – or the true author’s purpose. Can we truly understand a text if we do not consider what influenced the writer, filmmaker or artist? This is an important component of critical literacy. Contextualization applies to a lot more than historical and political documents. It applies throughout our lives. Consider children’s movies and how they evolve to reflect the values of a current society. How about cereal boxes? We see health related content added to brightly colored cartoon themed boxes. Whose values do your childhood Disney movies represent? Who is the target audience and who is the writer’s audience? Are they the same? 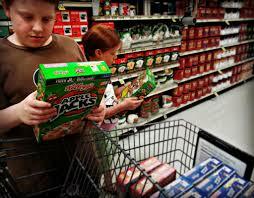 What influences the choices the filmmakers or cereal advertisers make? When we guide our students to consider possible societal influences, we help them along the path to critical literacy. We build strong thinkers who can navigate the increasingly complex world they inhabit. 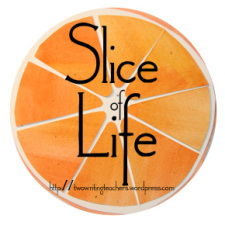 Thank you to Two Writing Teachers, Tara, Betsy, Stacy, Anna, Beth & Dana for hosting the Slice of Life Challenge 2015. What a great place to write. Check out more writing here! This entry was posted in History & Social Studies, Teaching and tagged Critical Literacy, History, questioning, SOL2015, Thinking like a Historian. Bookmark the permalink. 2 Responses to Why Get Critical About Literacy? Compliant thinkers who mirror the teacher’s thinking will not bode well for the future of our great democracy. Building critical literacy skills across all disciplines is necessary! Thanks for the reminder!